We have a selection of as new reconditioned iPod Touch and refurbished iPod Touch's for sale at probably the best prices in the UK. During the refurbish process all our Apple iPods are fitted with a brand new screen. Any other iPod parts which are in need of repair are also replaced. We assure you when buying a refurbished iPod Touch they are of the highest quality and as such we are happy to offer a full warranty with all our as new refurbished iPods. Our warranty is a full 12 months, unlike many other companies offering only 30 days, this gives you peace of mind when buying iPod Touch units from us. 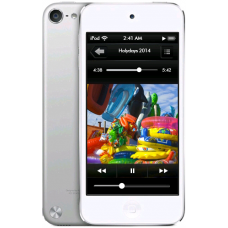 Each refurbished iPod is provided with brand new Apple USB sync and charge cable. 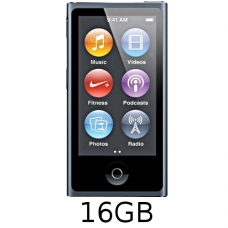 Grade A reconditioned iPod Nano 7th generation with an extremely versatile 16GB of internal storage. screen: 2.5-inc..
As new reconditioned iPod touch 5th generation with an extremely versatile 32GB of internal storage. If you are an avid ..